We love Soul Veg, so when some friends of ours suggested meeting there for dinner, we did not need to be asked twice. I always eat way too much when we go there, but it’s hard not to because the food is so good. 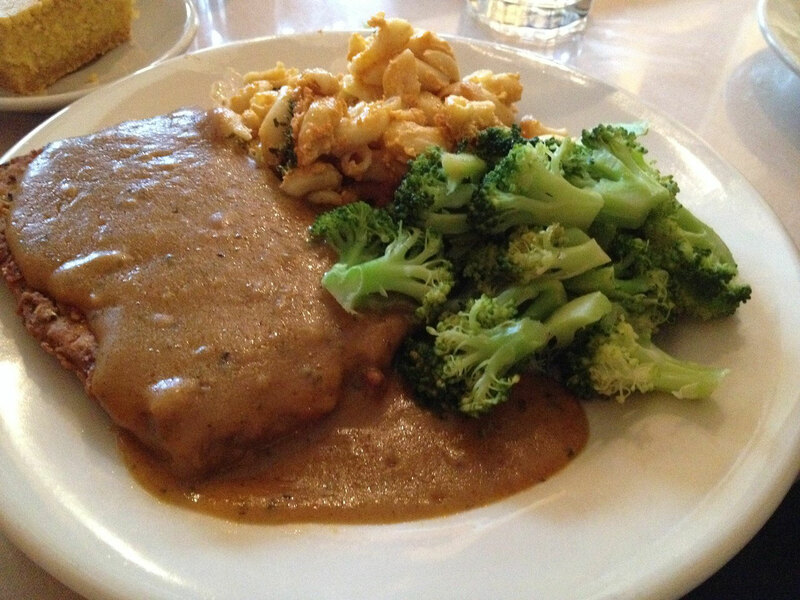 Everything on the menu is delicious, but one of my favorites is the Country Fried Steak with Gravy. I wasn’t a huge fan of non-vegan version, which my mother, who is an excellent cook, made once in an attempt at familiarizing us with local cuisine after we moved to North Carolina from the Northeast. Apparently, some folks call this “chicken fried steak”, a name I was deeply perplexed by when I first heard it. 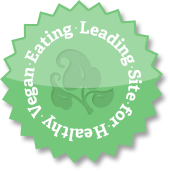 Anyway, after going vegan, I decided to try it and was surprised to find that I loved it. Soul Veg actually bakes this now, so don’t worry about the fried bit. It’s obviously a favorite because, of the four of us at the table, three of ordered it, along with a side of mac & cheese. Soul Veg makes the best vegan mac & cheese on the planet. I have omni friends who make a special trip there just to get the mac & cheese. They also have the best salads, well it’s really more about the dressing, which I could just drink through a straw. No idea how they do it, but I’m glad they do. I had broccoli with mine, but the other two with the same dish ordered the collards. It also comes with corn bread, which as you would expect from a soul food place, is amazing. Love me some Soul Veg! Back when I used to sell my crafts, there was a monthly market inside of Young Blood Gallery (now MINT), which is basically next door. I used to look forward to a take out supper from Soul Veg as much as I did to vending at the market!